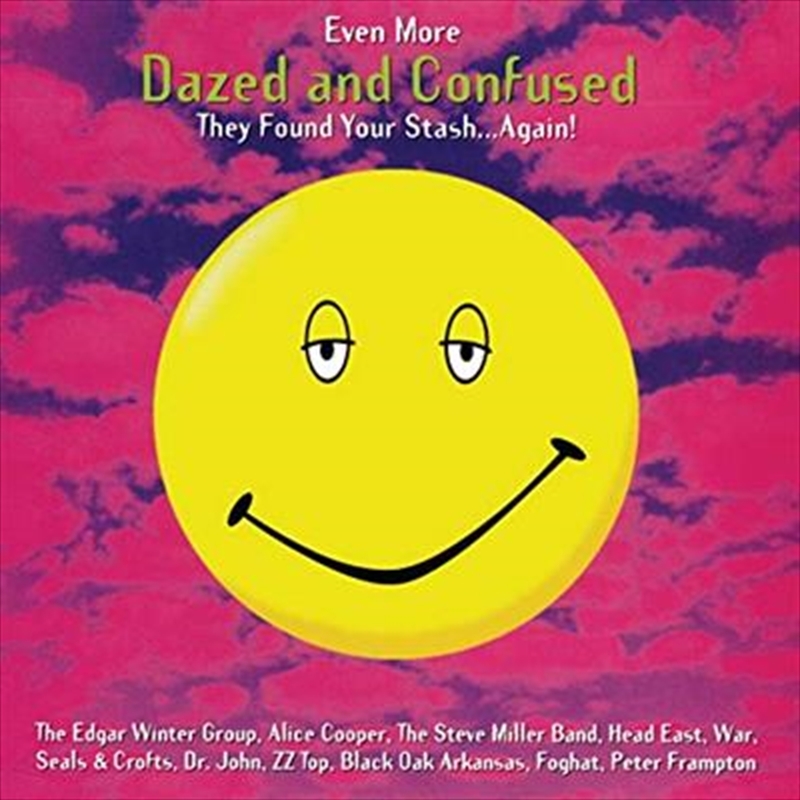 Even More Dazed and Confused: Music from the Motion Picture (Limited Purple with Pink Splatter Vinyl Edition) Various Artists The subtitle on the album cover reads, "They Found Your Stash... Again," and we are happy to report that this particular musical stash is seeds and stems free! Richard Linklater's 1993 coming-of-age film Dazed and Confused captured the age-old adolescent themes of rebellion vs. Conformity, jocks vs. #nerds, stoners vs. #students, and grown-ups vs. #grads so perfectly that it remains a touchstone movie for each succeeding generation of high schoolers. But it's events unfold at a very specific time and place; namely, the last day of the 1976 school year in Austin, Texas, a moment in rock and roll time which Linklater and his cohorts unerringly capture with a soundtrack that has spawned not one but two releases, of which this is the second. LP debut, pressed on very trippy purple with pink splatter vinyl inside a jacket featuring production stills from the film.